Installation, created by Mona Hatoum in 2000. Kitchen utensils, furniture, electrical wire, light bulbs, dimmer unit, amplifier, two speakers. 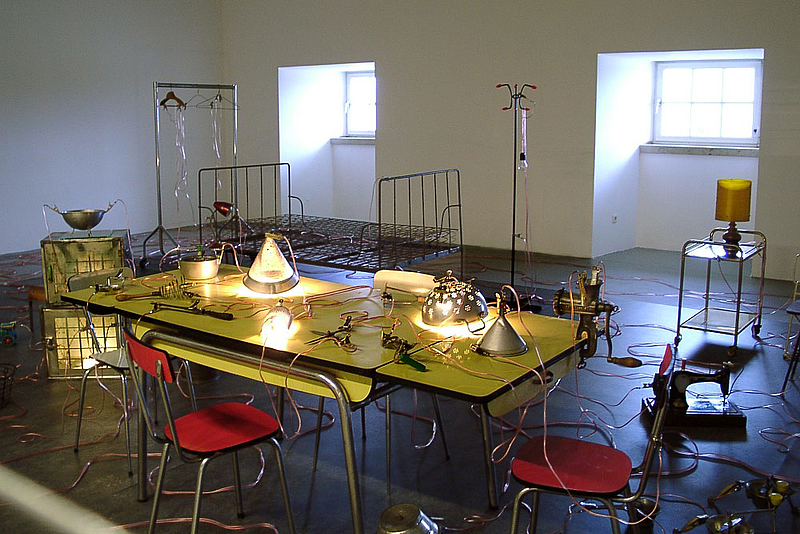 Presented at Documenta 11, Fridericianum, 2002. Homebound, installation created in 2000. Presented at Documenta 11, 2002, in the Fridericianum. Artistic Director: Okwui Enwezor.